We repair, service and replace your heating and hot water systems. If your boiler is 10 years old, it's not as efficient as it could be. Fairford are accredited installer for the Worcester range of boilers from Bosch. All Worcester combi, system and regular boilers supplied & installed by Fairford are "A" rated for energy efficiency which means that they help you to reduce your domestic fuel consumption and reduce harmful emissions. It’s surprising but true: a boiler that’s just 10 years old could be costing you 30%* more in fuel than a Worcester Greenstar. So with the instability of fuel prices, there’s never been a better time to think about changing your boiler. 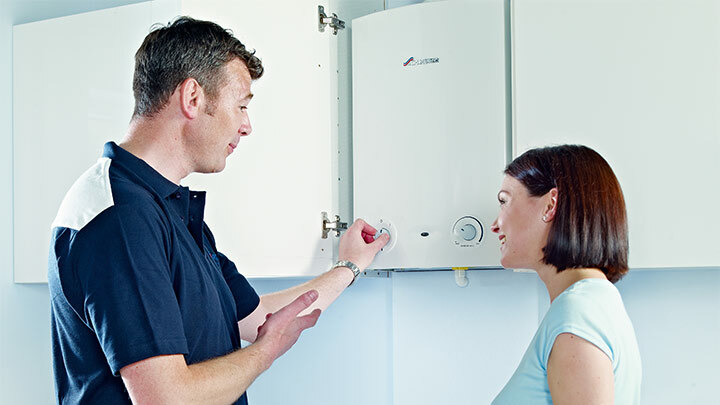 How can a Worcester boiler reduce my fuel bills? Every boiler in the Worcester range is A-rated for efficiency, meaning it turns over 90% of the fuel it uses into heat. Compare that to older boilers, which are as little as 50% efficient. That means 50% of the fuel you pay for literally goes up the chimney. Many modern boilers are still only 70-75% efficient – so installing just any new boiler is no guarantee of money-saving efficiency. When you factor in the quality and durability Worcester is renowned for, an award-winning Greenstar boiler makes perfect sense. Worcester products installed by Fairford could make a difference to your life, your fuel bills and the environment. All Greenstar regular boilers can be used with a Worcester Greenskies Solar water heating system to provide hot water for your home. Depending on the positioning of the Solar water heating panels, they could provide between 50-70% of your annual hot water free of charge from a sustainable source of energy.